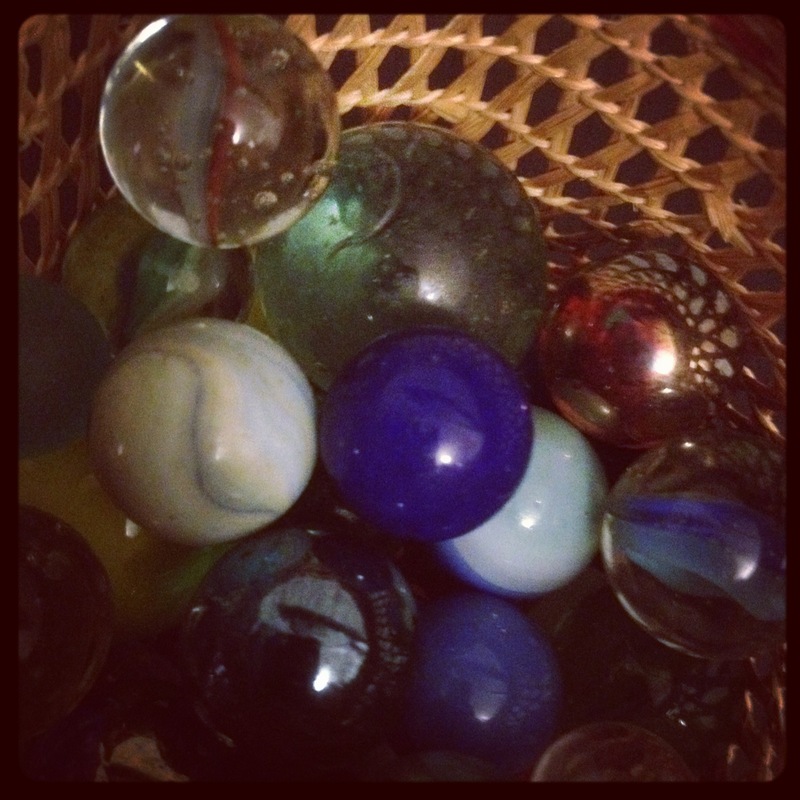 On a recent trip home sorting through boxes from my childhood I was reminded that I’ve always been a collector; stamps, fossils, marbles, shells, cat ornaments, gemstones, old books, the list goes on. You name it, I probably collected it. Seahorses? Yep. Buddhas? Got them. Small plastic animals? Dozens. And, of course, beads in all shapes and sizes. (Stored in little trinket boxes, which I also collected.) It’s fair to assume I’ve always been a hoarder and a geek – a lethal combination. By the age of 10 I was a member of the British Egyptology Society… but that’s another story. I blame my family. Granny Vera (the Vee in Maison Vee’s) was a collector of kitsch and I have fond childhood memories of her home filled with wide-eyed children, baby deer and fluffy birds on branches. 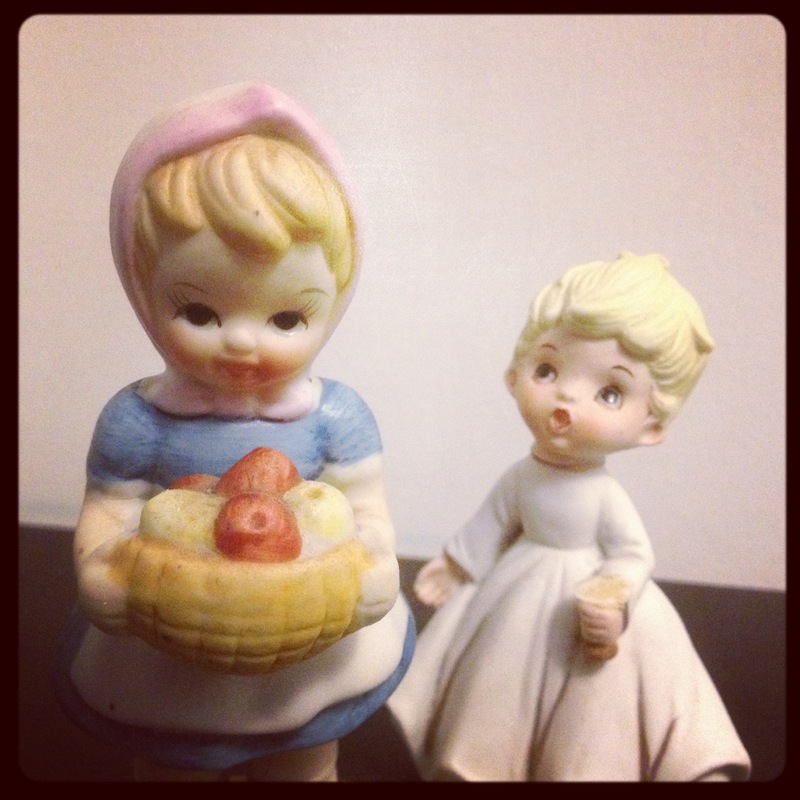 (I inherited these little figurines.) My parents collected everything from uber-stylish art deco ornaments, to dragonfly wings and small skulls found on countryside walks. Family trips to jumble sales, charity shops and flea markets had me hooked. Even our neighbours got involved, donating their broken necklaces and odd earrings. 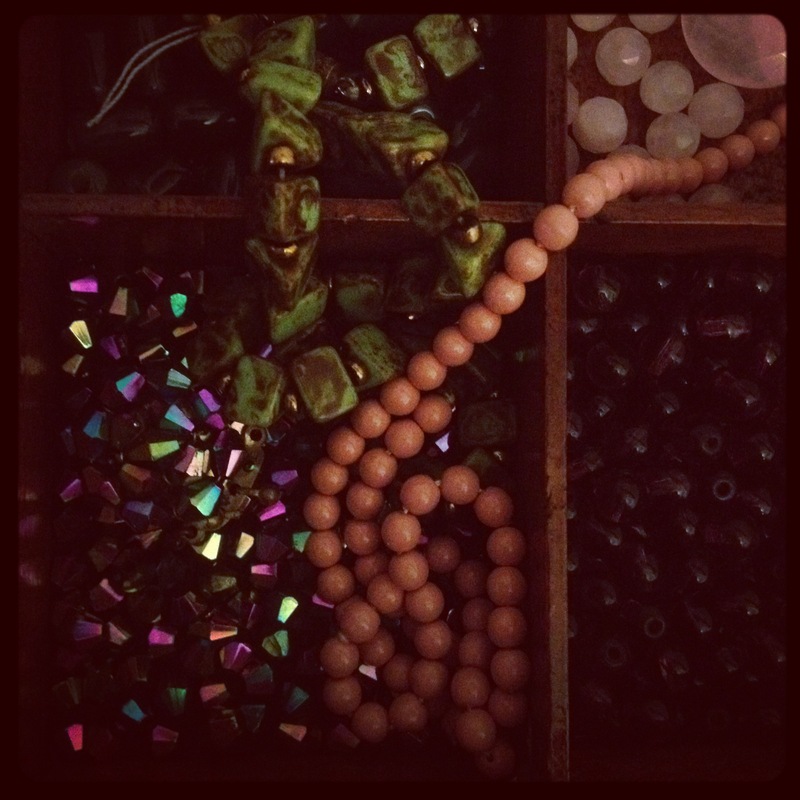 So now at the grand old age of thirty-ahem-something I have narrowed my hoarding tendencies down to BEADS*. I can’t walk past a charity shop or market without popping in to check – you never know what unloved beauties might be hidden amongst the tat. I can spot a promising string of beads at ten paces and a quick feel is all I need to tell an imitation from the genuine article. I still have most of the beads from my childhood collection and now fully appreciate just how stylish those neighbours of mine were – gorgeous lucite and glass beads from the 1940s, 50s and 60s. *This isn’t strictly true. I also have a penchant for vintage shoes, handbags, clothes and jewellery too beautiful to take apart. 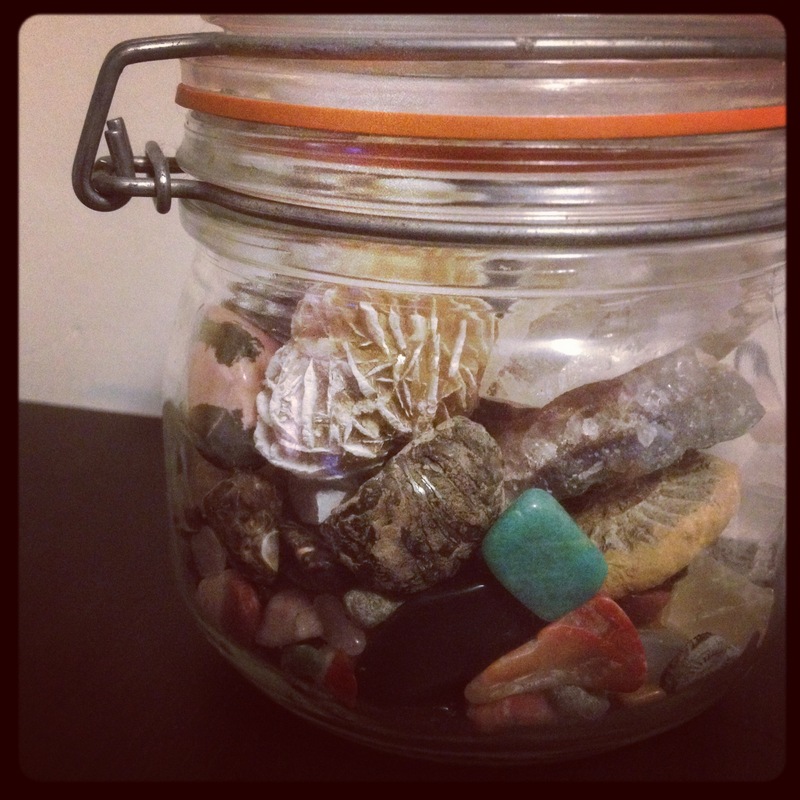 And my pockets are full of shells and pebbles.